How to tell if your symbol of luck isn't real. Image and info from this website. If you're really lucky, you'll find a pot of these golden biscuits at the end of your breakfast table. ...things get ePIc pretty darn quick. There are, of course, T-shirts. You can geek out with the limited edition three-pack "Pi Day" collection from Scientific American, or with one of these Pi-themed goodies on Etsy. 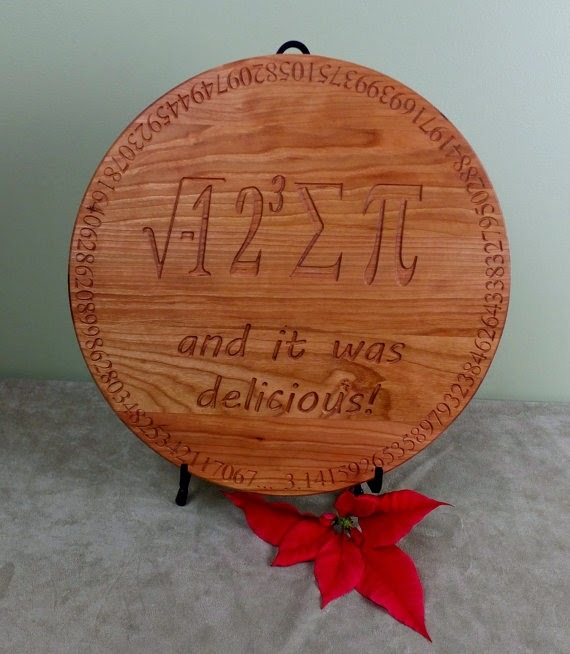 Or you can just forget the math and eat some pie. Totally fine to take a short cut and hit up a local bakery too. The Foodie Girls love the Mexican Chocolate and Maple Custard Pie at The Pie Hole, and I'm a massive fan*** of the Cherry Pie at Sweet Lady Jane here in LA. Don't forget, pizza counts as pie, too. Try The Luggage Room in Pasadena or Olive Wood Pizza at the Studio City Farmers Market. * Did you know that everybody's birthday appears in the number Pi? Mine is at digit 70,113. Find your birthday in Pi here. 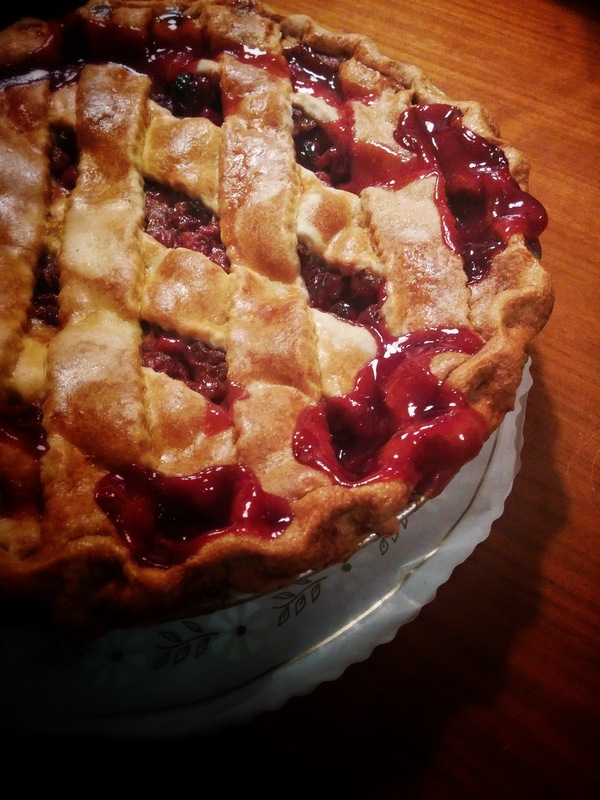 ** Explained wonderfully here, with five more drool-worthy pie recipes, on the always tasty Shockingly Delicious blog. *** Literally, I weigh a ton. **** Pi Day never happens in countries that put the day first in their dates. America rules. ***** At 9:26:53 a.m. and p.m. Not to mention that you can have mini celebrations at 1:59:26 a.m. and p.m. as well, like people do on non-monumental Pi days. While you're at it, have an extra slice for Albert Einstein. It's his birthday today. I almost did it again this year. I had the facebook post all typed up, humbly asking friends to click through and tell the world* that Cheesy Pennies is The Best. When I started blogging, almost six years ago now, all I wanted was a place to keep track of what I cooked and the little incidents in my life that might otherwise slip by unremarked. That said, as much as I wish I were immune from the craving for readers** and recognition, I'm not. Part of the deal when you put work out into the world is the hope that someone other than you is there to receive it. To love it, too. Yes, I found a space to save recipes, but I also found a space for my voice. There are posts here full of farce-worthy silliness, and some with simple ideas and quick notes on a weeknight meal. I cook and serve food from my own website all the time, and have had an extremely low level of complaints from the beneficiaries. My mother lived and died and lives here still, and I'm so grateful for that. This keyboard has been covered with tears and flour and magazine clippings and cat hair while I type, edit, and shape the stories I want to tell. The process is liberating and draining and addictive. I get to write and write and write, but only when I have something to say, and then hopefully I say just enough. It's huge when someone lets me know, "I made that," or simply, "I read your blog." I am absurdly proud of this work that is not my job. Cheesy Pennies is well loved and oft-used by friends, family and even people I've never met out there on the invisible Internet. It is personal and I love sharing it. It is mine. It is good. It is, often, the best of me. But it is not The Best of Blogs. Lady and Pups - Jaw-dropping photos, completely original recipes, and a wise-cracking, genuine and riotous writing style. A recent post, Pan Grilled Marshmallow Toasts with Sea Salt had this quote: "Some say wonderful things are born out of desperation. Before today I’ve always thought they were talking about spandex." A New Yorker transplanted to Beijing, her recipes often involve complicated, multi-step preparations, but she somehow makes you feel you can almost pull them off. A finalist last year in the photography category. Dash and Bella - The honest, devastatingly beautiful writing on this site makes me lose my breath almost every time. In a few well chosen words you understand the loss of a grandmother, the swift passage of childhood, the need to scream into a pillow or guzzle wine or curl up a fist and stay quiet. It's almost unfair that her recipes are ridiculously good, too. How one couples getting a drug fix from a neighbor kid with a pecan cheese ball recipe, I'll never know, but she does it perfectly. She has a book in the works and I am going to buy it the instant it comes out. 5 Second Rule - Reader's choice last year for Best Writing, and deservedly so. There is just one photo per post (usually stunning on a dark background), so the words shine. On my very very good days, my posts would be like these. I loved a New Years piece where introduces her desk: "It's a cherry slab with a deep gouge. It weighs a ton. It dates back to my grad school days in Somerville, Massachusetts. Today, and every day, it's littered with papers, with news clippings, with stacks of fluorescent post-its. I neaten it often, but within seconds, it reverts to its natural state. One can only do so much." The recipes are simple, lovely combinations of good ingredients that anyone can make. There will never be enough articulation in any universe to describe my immortal devotion to these sliders. Obviously I didn’t invent this recipe, but I did tweak a couple o’ thangs to Bevi-botch it. We were supposed to get snow last night and all it did was shoot a rainy snot rocket and call it a day. My coffee’s stronger than usual. Glazed and Confused - There's been a run of young stars emerging in the food blogging world, including an English high-schooler with a global following and a brand new cookbook. But this one's actually a wunderkind, in my mind. A 20 year old self-confessed One Direction maniac, this kid made himself a chicken & waffles birthday cake, and I kinda wanted to eat all of it. 'Nuff said. I don't personally know the creators of these sites, but I feel like I do. They are opinionated and talented and generous with themselves online, which is what makes their work compelling and excellent. They have legions of anonymous fans like me because they deserve them. There are other sites, too, that I recommend to you for the very same reasons. Joy the Baker. Displaced Housewife. Movita Beaucoup. Food for the Thoughtless. All of the links on the sidebar there are well worth your time to click through and read. Not to mention last year's blog of the year - it is simply sensational. So no. I'm not going to humbly ask you to nominate Cheesy Pennies this year. I'm going to humbly thank you for reading instead***. * Well, to tell the online editors at a certain food magazine that I don't even subscribe to that Cheesy Pennies is The Best. ** They should just not include a "web stats" tab in the blogging software. Then my paltry traffic would be out of sight, out of mind. *** Plus, I already won a bunch of other stuff, so I can be noble and realistic at the same time. There are times when life is good. Work is interesting and productivity is high. Your teenager smiles at you for real. Your bank account balance is surprisingly fat, and your thighs are surprisingly thin*. At times like these, one can tackle epic, multi-step dessert recipes with aplomb. Store-bought ice cream? Caramel from a jar? Puh-lease! In fact, I'll just be making my own damn mascarpone cheese and zabaglione for that tiramisu, thank you very much. Then there are times when life is just plan f$@%ed up. 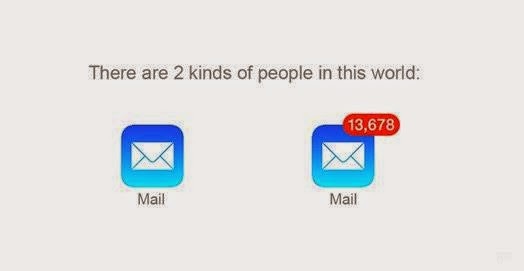 People who are supposed to love you are impossibly cruel and the cat barfs on the carpet and despite your best intentions, your email box is the one on the right. For those days, and for someone I love very much who is having a particularly cat-barf-y time of it right now, there are these No-Bake Chocolate Oatmeal Nut Butter Instant Happiness Treats. I found the recipe online, and made a batch almost on a whim. But the minute I took a bite, I was immediately transported back to a summer during elementary school. I'd been sent away to a science and nature camp for city kids with a bunch of people I didn't know and they were all really mean to me. I hated everything about it...the dingy bunks, the creepy-crawly woods, and the smelly labs, but more than anything, I loathed the girls I was grouped with. I was utterly miserable the entire time, except for one day, near the end of camp, when the cafeteria ladies served these exact same treats at lunch. I vividly remember the taste and how happy I was, just for a minute, to be eating something so delicious in the midst of that horrible place. I swear these saved me by making the experience, if not good, at least bearable. I polished off my treat. Only the happiness and none of the hurt came back to me. Life really is good sometimes. Believe me, I do not wish the horrors of pre-teen peer ostracism or any other kind of emotional turmoil on anyone**, but just in case, it's good to be able to make your own instant ray of hope out of chocolate, peanut butter, and sugar***. While you're waiting for the pain to fade away with time (and getting that inbox cleared out) these will definitely tide you over very nicely. P.S. If you are truly having a tough day, I found watching this video made me ridiculously cheerful. As in, howling with laughter. Via Kottke.